Steve’s love for cooking began in 1980s New York City while working in the kitchens of various Chinese restaurants to make ends meet. This same respect and appreciation for food would be instilled early on in his two young sons, Jimmy and Johnny, and inspire the opening of the first Bento Cafe nearly 20 years later. In the summer of 2002, Bento Cafe officially opened its doors a few blocks west of the University of Florida to a line of hungry college students. The quick, casual pan-Asian eatery soon became a local favorite, and the growing demand for its unique, flavorful dishes prompted the opening of its second location…and third….and fourth. Today, there are over 11 locations across Orlando, Gainesville, Jacksonville, Tallahassee, South Florida, and St. Pete., and a team of over 500 extraordinary individuals that comprise the Bento family. With plans of continued expansion on the horizon, Bento strives to remain true to Steve’s original vision – good, quality food in a fast and friendly environment. Bento Blue and Red were terms originally coined in Gainesville as a way for locals to easily distinguish the two locations – the original referred to as Blue and the latter as Red to reflect the red and blue hues unique to each venue. At Bento, we believe all things are best kept simple. 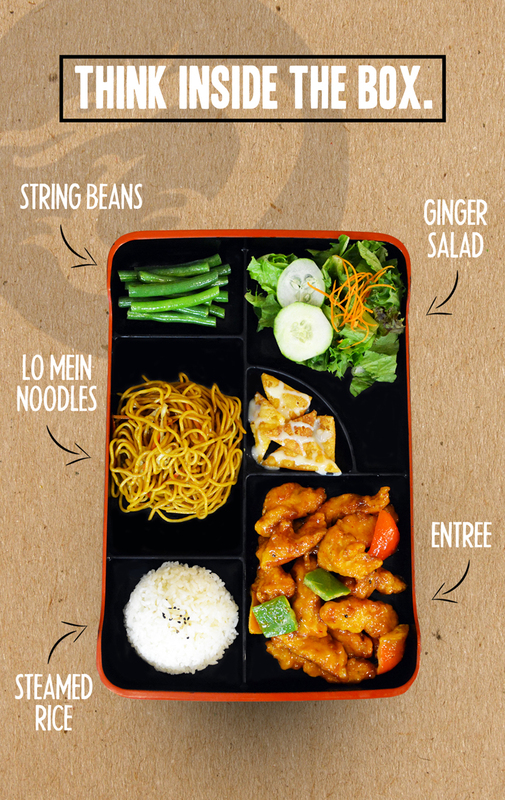 Thinking inside the box, the bento box that is… is making food we love, and doing it the right way. It’s MASTERING our craft – cultivating bold, flavorful pan-Asian fare that our customers look forward to. It’s our dedication to CONSISTENCY – in our recipes, quality, and service. Our sauces are thoughtfully crafted in-house with ingredients prepped daily, and each dish made-to-order. It’s perpetually INNOVATING – introducing new ideas while perfecting old techniques. We constantly strive to present traditional, time-honored flavors in a current, fresh way. And most importantly, it’s preparing food that we enjoy ourselves, and sharing it with others. It’s the heart of what we do, and our commitment to you. The origin of the bento box can be traced as far back as fifth century Japan where farmers, hunters, fishers and even soldiers carried food with them on the go. These portable meals typically contained staples such as rice, millet and potatoes.